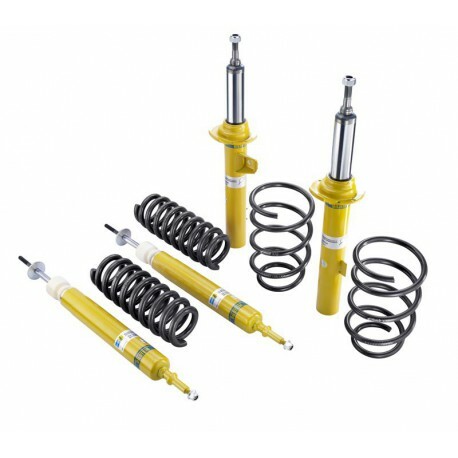 Manufactured by Eibach and Bilstein, world leaders in suspensions manufacturing. -20 / 50mm lowering, depending on the car model. Front dampers size: 50 or 50mm diameter. The B12 suspensioni package is composed by the Eibach Pro-kit or Sportline lowering springs and the Bilstein B8 sport dampers. The Eibach springs have a progressive elastic K.
This means that int the initial compressing phase the springs are tender enough to absorb the road irregularities. The consequence is a good comfortable ride on the road even if the car body is lowered. 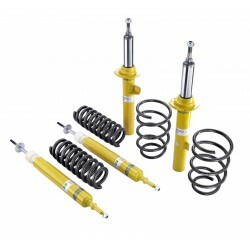 When the suspensions are more compressed, such in bends or while accelerating and braking, the springs become stiffer to resist the weight of the car, to avoid reaching the suspensions bump stops. The final effect is a car that looks and handles better without being too stiff for everyday use. 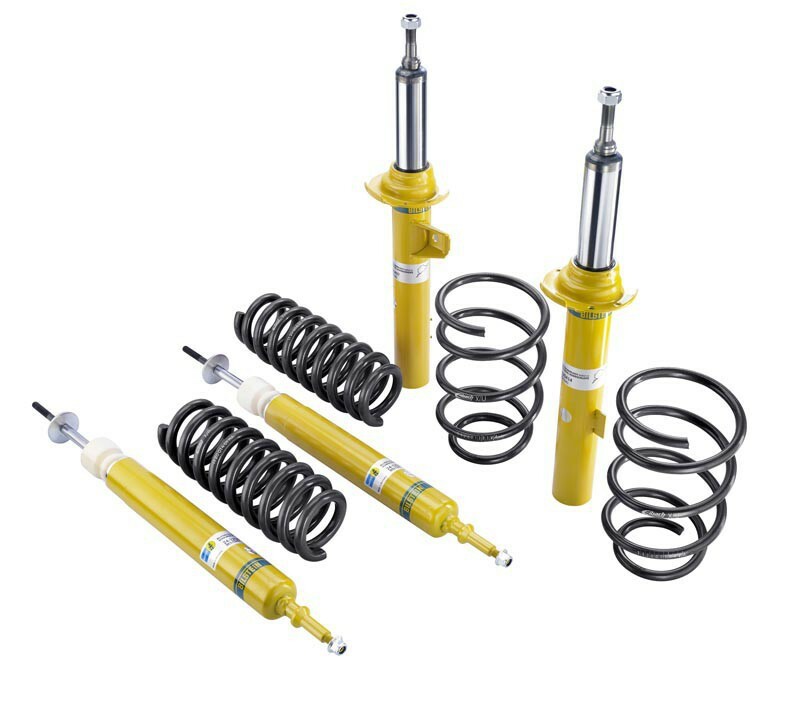 The Bilstein B8 sport dampers (shocks) have shortened bodies and stiffer hydraulic regulations. This way they are able to work in the optimal movement range when coupled with lowering springs. They can control the vertical movements of the wheels with precision and efficiency, with a tight and satisfying handling of the car body. The result of fitting this kit is an improvement in every driving environment. Its a good compromise of sportiness and comfort, for fast driving on the road and the occasional track work.